Dr. Sukitti Klangvisai 1995 27 72/36 7123 30 minutes from downtown. In the Majestic Creek Country Club, Thailand’s foremost golf architect, Dr Sukitti Klangvisai has created a 7,123-yard course that needs to be played with both imagination and skill. A maze of streams slowly trickling down by the surrounding mountains wind through this five year old 27 hole course. 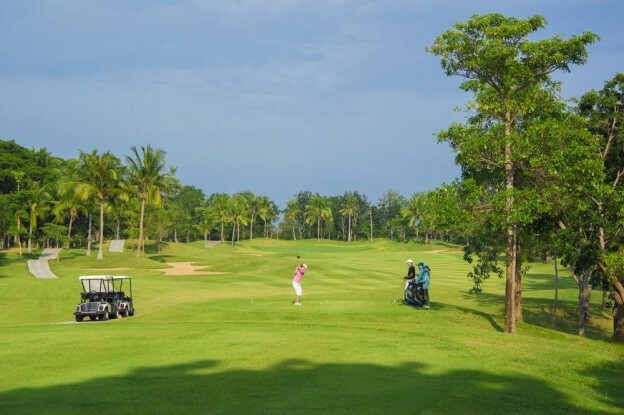 The course is without a doubt one of Hua Hin’s more challenging, so be careful not to exhaust yourself, one of the holes is an astonishing 770 yards long. Clubhouse facilities are to the highest standard with a fine international restaurant.